What Are People Saying About Your Practice? Service-based industries think hair salons, dry cleaners, or personal trainers, often offer an incentive to gather reviews. A “review” could equal 20% off on a service or special pricing on a treatment. This type of incentive can yield fantastic results- lots of reviews, most of them positive—but take caution. You can get more reviewers than you intended, resulting in a loss of profit. Or, the reviews generated can seem phony or unsubstantiated because they were only written to receive the incentive. 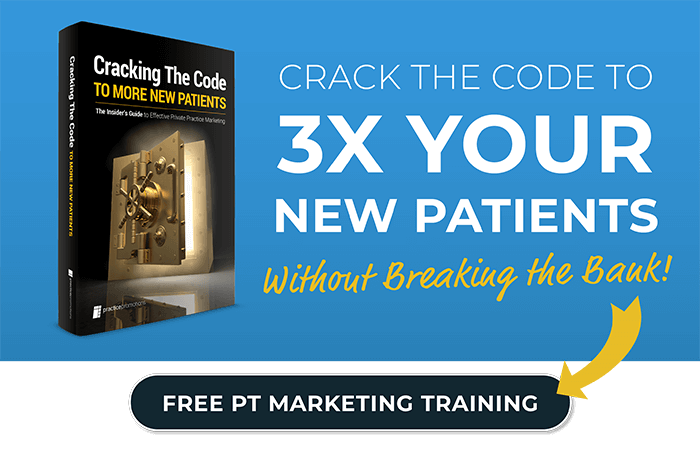 A better incentive for PT practices is to offer a giveaway or entry into a raffle. By asking reviewers to come into the clinic to receive their incentive, you have the opportunity to reconnect with past patients. And, you can control the number of reviews received. As you might guess, the younger crowd (20 to 40-year-olds) is most likely familiar with the review scene and is often the first to provide both good and bad testimonials. Try to target a diverse mix of patients that vary in age, demographics, and treatments received. As a way to help older patients leave reviews, offer a paper option that your office staff can type up and add to the website or train your staff to help them access the review sites on their phone. Just make sure this isn’t your primary tactic since online – especially Google – reviews are most beneficial. Note: In the past, businesses have had a computer or iPad to leave reviews on in the waiting area. This seems convenient, but Google actually pays attention to the IP Addresses reviews come from and too many from one location could penalize your rankings. Ultimately, this is your golden opportunity to create a relationship that extends beyond a star rating and short review. When a patient leaves an awesome testimonial, he or she is really happy about the physical therapy provided and is feeling better. Next, ask the patient if they would like to be featured in a newsletter or on social media. Adding a picture and short bio can bring a review to life. And, it will help prospective patients identify with your practice. We have turned some of our best client testimonials into short promotional videos with fantastic results- check them out! Don’t ignore the negative reviews. This is probably the toughest challenge—turning lemons into lemonade. Not all patients will leave a positive testimonial. Those unhappy clients are often the first to speak negatively about your practice and for a variety of reasons (billing issues, insurance reimbursement, still in pain). Don’t take it personally. Instead, make some lemonade! If the patient is in the office and either refuses to leave a testimonial or leaves a negative one, ask them why. This conversation is often best handled by the office manager or owner and should not have the PT involved. Have the patient step into an office to discuss their upset and to see how you can help. Taking the time to right the situation can make the difference between bad PR and a patient who leaves feeling heard, acknowledged, and taken care of. Online reviews can be a bit tougher- you can choose to ignore them (not ideal) or tackle them head-on. If you want to be reactive- check out some tips from American Express’ small business team. Pro Tip: You can use a reputation management software to gather reviews on your private dashboard, but in a way that decreases the chance of negative ones also being shared on Google or Facebook. This is a service included in our Ultimate PT Website package. 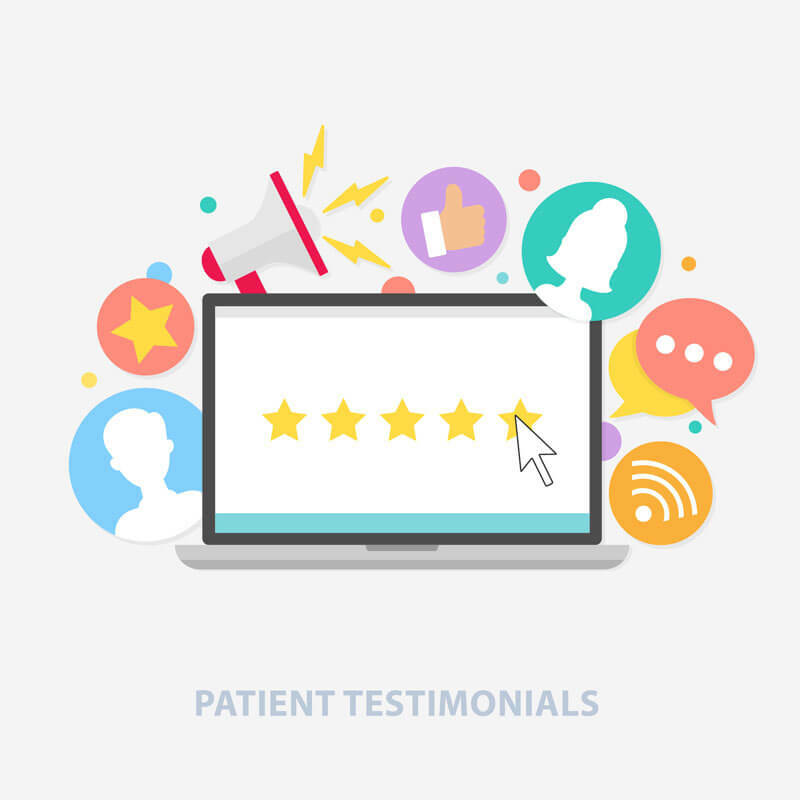 Want more ideas and tips on getting awesome patient testimonials AND innovative ways to use good reviews to promote your practice? Our expert account management team can help! We have years of experience in successfully soliciting patient reviews and incorporating them into newsletters, branded marketing materials, and digital media. Call us today 1-800-594-7656 or check out our review system in our physical therapy website plans & pricing.